Are you single? Then retirement planning is tougher for you than it is for couples. Single retiree should count on spending about $30,000 to $50,000 a year including taxes, assuming you own your home and have no debt. 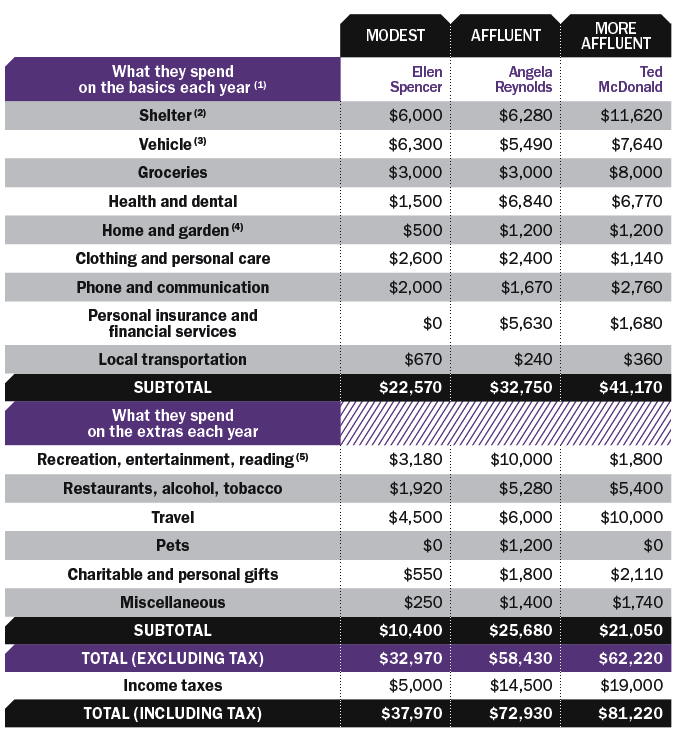 This compares with my spending estimate of $42,000 to $72,000 for retired couples living a comparable middle-class lifestyle. But singles do have one financial factor in their favour: if they don’t have kids they’re spared the hefty child-rearing costs that couples with families have chosen to bear. That should allow them a head start on saving for retirement while friends with kids are knee-deep in diapers and daycare. Angela, recently retired after a career in the public sector, has a budget of $73,000 a year, including about $33,000 for the basics, and a sizeable $26,000 for the extras. In the early years of her career she was fixated on saving, which helped provide her the ample nest egg she has today, including a group RRSP. This entry was posted in Tips and tagged clever lending, holliswealth, Laura Chanin, laura maccormack, leading ladies, leading ladies vancouver, remax team nickerson, retirement, sayo nickerson, vancouver events, verico vivid mortgage, women's education. Bookmark the permalink.